Are you looking to get into cutting your own hair with a pair of well-rounded clippers? You need to check out this Oster fast feed review. Can’t decide whether you want to be more casual or take a leap into the more “pro” hair cutters? Would prefer something that doesn’t heat too much and cuts back on noise levels? These are one of the best medium-budget hair clippers on the market currently. Join me for a thorough, balanced Oster Fast Feed review. Its purpose would be to let you know whether indeed this is the hair cutter you’ve been looking for. Fast Feed clippers have a very comfortable grip due to their shape and quality of the material. Unlike many other barber hair cutters, they stay cooler for longer periods of time. They’re quiet. You can enjoy your blissful moments of buzzing without a machine roaring in your ears. Three extremely important points and three wins for this model, which you should take into account. Furthermore, even when the Feeds get hotter, they will be warm instead of the more sizzling heat you might experience with some heavy-duty models. These Oster clippers are quite versatile in their use. Let me talk about their blades so you understand their possible applications better. Looks quite sharp and sturdy, right? Because it is. Oster tend to put their clipper blades through very harsh cold conditions, cryogenically testing them. This means the stainless steel, carbonized blade becomes even sharper and lasts for a longer period of time. The black lever on the side is the exact same “arm” you’ll use to adjust the cutting length. You’ll also notice that the spacing between the teeth. This is what makes the Fast Feeds quite adept at cutting coarse and thick hair properly. The blade quality is one of the reasons we’ve included this Oster clipper in our list of the best fading clippers. Don’t doubt its versatility, though – its quiet and cool operation makes it quite the amazing clipper for beginners and home users too. At the same time, the Fast Feeds aren’t great for bulk cutting. 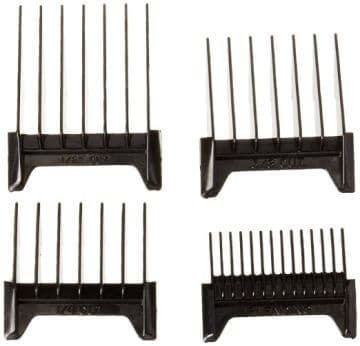 I suggest you reserve them as a sidekick to heavy-duty clippers like the Oster 76, Wahl Senior or Andis Master if you plan on cutting volumes of hair. While the pivot motor of the 76023-510 Fast Feed clippers is powerful enough, it’s no match for a Seniors motor or the capabilities of the Classic 76. And without a very powerful motor to “feed” the clipper, bulk cutting will be a bit difficult. The Fast Feed comes with a few hair clipper guards included, as I mentioned. And that’s great! However, their quality, at least when compared with the other pieces of this hair cutter, are…well, disappointing. What I would advise you to do is to get the double Andis Nano magnetic guards. They’re fully compatible with the model and will improve your haircuts and the Feeds’ performance as a whole. You can get either the smaller #0 to #4 Nano guards (1/16″ to 1/2″) or the bigger #5 to #8 ones (5/8″ to 1″.) With their magnetic mechanism, they won’t feel flimsy, will fit to the blade more secure, and simply make your life easier. 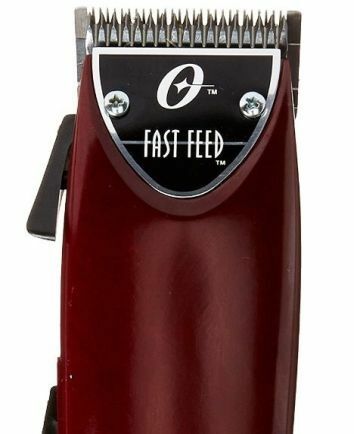 For people looking to nail the slick bald looks, the Fast Feed clippers won’t quite suit you. 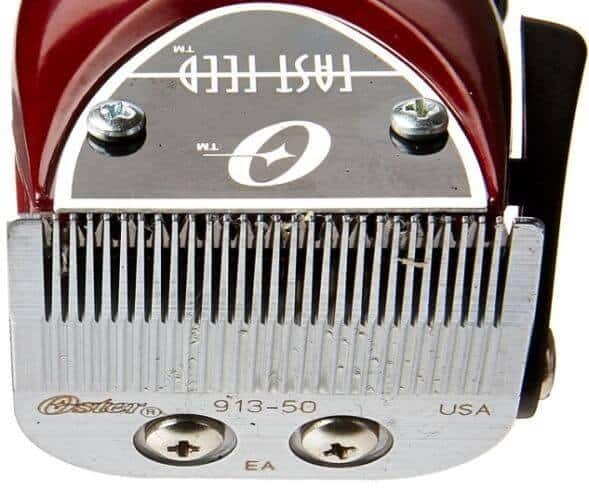 As with bulk cutting that got mentioned before, serving as a balding clipper simply isn’t one of this Oster cutter’s purposes. I suggest you head to the best balding clippers list we’ve prepared for you and take your pick from the haircutting machines presented there. If you’re a casual user who wants to touch on a semi-pro territory, this is one of the best hair clippers for you. It’s ergonomic, quiet, doesn’t heat too much and will get that buzzcut you want to land right. For barbers starting out, this is a great tool for beginners. Just remember to get something more heavy-duty ready as your main bulk hair cutter. In this Oster fast feed review, I assure you. You’ll be more than delighted by one of the medium-budget market kings. You just have to know its boundaries. I have a question about clippers that aren’t good for “bulk cutting”. Does “bulk cutting” mean cutting lots of people’s hair all in a row non-stop, like at a barbershop? Or does it mean cutting lots of hair off a single person? Here is why I ask: I need a good quality clippers to do home haircuts – me and the two kids. Our current Conairs are crap. No fancy fades or balding going on here – I’m talking about clipping maybe ear length hair every month or so with 1/4 and 1/2 inch combs. I’m inclined to buy the best available. But Oster 76 is too beastly for my wife to use. Andis Master seems solid but the reviews paint it as unforgiving to amateurs. I’ve read that the Wahl Senior gets painfully hot. But I also don’t want to get a Fast Feed only to have it choke like the Conair. Your website has been invaluable, but any help you can provide would be great. Yes, when me and Ryan use ‘bulk cutting’, it’s mainly used as a term for heavy-duty, professional use. Busy barbershops are way more intense than a few heads of hair back home. In other words, I think you should be fine with the Fast Feed in your case. I get the part with your wife – Oster Classic 76 is too heavy for anyone, haha. Ryan respects it, but it’s too huge/much of a hassle for me too. Aside from the Fast Feeds, you might want to take a look at the Wahl 5 star cordless Magic Clip. It’s very lightweight, cordless (I can imagine this being handy for family cuts), has nice battery life and its blades are even more precise/ready for thicker hair cutting. But, once again, in your case, the Fast Feed shouldn’t be an issue imo. I’d be too harsh on Conairs if I voiced my opinion…but I fully understand your troubles with them. Let us know if you need additional help! Hey there! I need help. 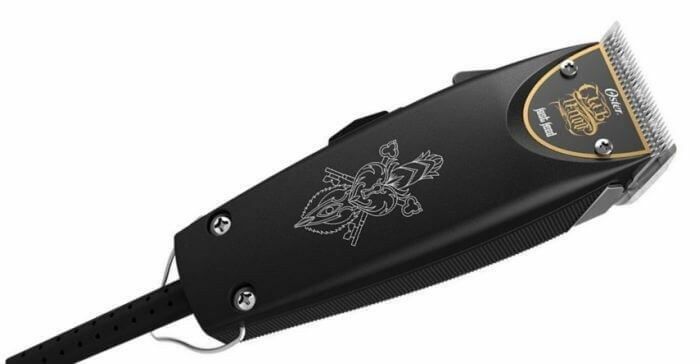 I am looking to get a second pair of these clippers and I want to buy replacement blades for the guard length I like. (I shave my whole head and face the same length once a month!) My problem is this – I find the blending guard is the length I want. What replacement blade should i get to match the blending guards length? A #1 a #1A? Thanks for any help! Hi, Looking for some advice. I cut my own hair with a friends wahl icons. I’m looking for my own clippers and want the best for a level 1 all around. No fades. Hoping to keep the clippers for around 10 years so they need to be strong. I have african hair coarse hair. I’m thinking between the fast feeds and Oster 97 (they’re the UK plug 76) What would you recommend? Your reviews are the best on the Internet but you are leaving out an important piece of information for DIY haircutters. I’m at the point where I’m getting pretty good cutting my own hair but I realize I need a clipper with a taper lever THAT STAYS PUT WHERE I POSITION THE LEVER AS I CUT MY HAIR. 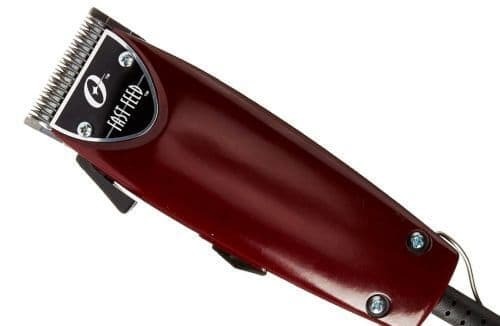 With my former Wahl clippers, Elite Pro and Color Pro, the taper lever would slide continuously as I cut my hair. Thus, the taper lever on those clippers were useless. I need a clipper with taper lever that STAYS PUT as I cut the hair. No doubt others are looking for this information and you need to stop leaving it out. Thank you. That is very odd that you have had that problem. I am a professional and have never had a lever get loose on me. Have you tried to tighten them up with the screw? This might be obvious, but not to me. I want a #1 cut all around. Do I need a guard or just set the blade to a 1 and go at it? All you need to do is use the clipper with no guard and the lever all the way open. That is the equivalent of a number one that you would get if you used another clipper with a removable blade. If you are unsure of when the lever is open and when it is closed, just look at the teeth when you move the lever. When it is open you will see more of the tooth of the blade.